Tonight I had the genuine pleasure of hearing Ralph Fletcher speak on Helping Young Writers Develop Writers’ Craft at an event sponsored by the Tri-County Reading Council here in New Jersey. 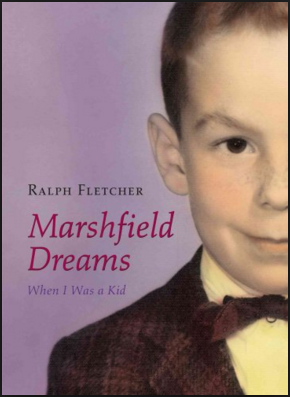 For those who may not know him, Ralph Fletcher is a writer of picture books, novels, and poetry. He is also a teacher of teachers, having created such excellent writing instruction books as Craft Lessons: Teaching Writing K-8 and Writing Workshop: The Essential Guide . What I personally took away from his talk is that we, as teachers, make writing far too complicated. We perhaps attempt to accomplish too much in any given writing lesson, which makes the average student reluctant to write (How can I possibly get all that stuff right?) and the average teacher reluctant to teach (How can I possibly choose from among all those skills that students must demonstrate?). Throughout his presentation, Ralph shared many examples of student writing which were equal parts skillful, humorous, and charming. Some pieces made us laugh out loud; another piece, when shared, caused a colleague at my table to remark, “If one of my students wrote that, I would not be able to hold back the tears.” These authentic examples reminded us, in Ralph’s own words, that “story comes first,” and that we, as readers, need time to respond in a natural way to students’ writing. Interspersed between picture book readings and student examples were the “nuggets of wisdom” we had all come to hear. How shocked we were to learn that we already knew them! As writers, as teachers, we already knew what he had to share. But in our attempts to follow the curriculum, meet the standards, and pound every nail, we had forgotten the simpler things. Ralph had three straightforward, yet powerful, ideas to share on the topic of Craft Elements His first: Take advantage of micro-texts. Ralph’s second observation: Use literature that kids already know. (By the way, I dig Ralph because he uses the word kids. Too many teacher bristle at that!). And if students say, “But we read that book last year,” your response can be, “Great! Then this time we can read it the way that writers read.” That, in turn, leads to new, fertile ground for understanding: How do writers read differently from readers? And lastly: Note what your student writers are already doing. Celebrate the successes you see, no matter how small. Use students’ work to model strengths, but never to illustrate deficits. It is so tempting, he says, to try to teach everything (voice, leads, character development, etc.). This leads to teachers “mentioning” elements of writing rather than actually teaching them. One of the most important skills that we miss, due to our efforts to “teach it all,” is that of having children critically reread their own writing. How can they improve their writing if they never take time to reflect upon it? It is so much more beneficial to take your time, focus on just a few aspects of writing, and teach those well. I’m glad he said that. Sometimes I forget. Even though I already knew it. So check out Ralph’s work, both for your students and for yourself. Craft Lessons is my favorite (I bought my third copy tonight, since colleagues have “borrowed” my previous two), A Writing Kind Of Day: Poems for Young Poets is hugely popular in my class during Poetry Month in April, Marshfield Dreams: When I Was a Kid is an autobiography with authentic voice, and Grandpa Never Lies is on my “Gotta Have” list after hearing it tonight. (These and several others are featured in the slide show at the bottom of this page). Also check out Ralph Fletcher’s homepage, which features tips for teachers and young writers, plus additional information about the author and his work. Children need role models, and picture books deliver! Here I share just a few of the hundreds of possible books which can be combined to create a fantastic study of both real and fictional heroes. You may also want to check out a previous post about Molly Pitcher if you're looking for a strong, true-life heroine. Tall Tales, Myths, Biblical Heroes, and Biographies are other sources you might consider. I discussed further ideas using Heroes from History in another post. 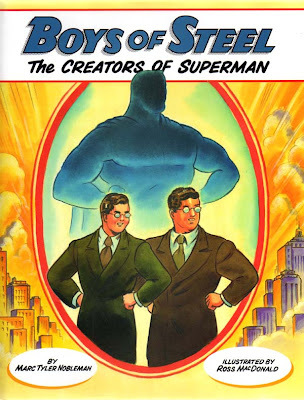 Jerry Siegel and Joe Shuster, two Depression-era teens, resemble one another enough to be brothers. Along with their similar physical appearances, they share a shyness around girls, an aversion to athletics, and a love for pulp fiction heroes such as Buck Rogers and Tarzan. Who would ever have thought that this unlikely pair could create the much-copied but never equalled Superman? This book chronicles the friends' determination in bringing this super hero to the page, and the resulting birth of modern comic books as we know them. Superman appeared as the Depression was drawing to a close and America entered into a World War. Why would audiences so readily welcome such a hero in times like these? 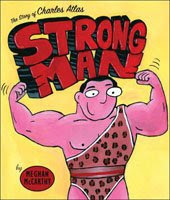 How did a poor Italian immigrant boy named Angelo Siciliano become real-life strong man Charles Atlas? In another unlikely story, readers will enjoy hearing how a ninety-pound weakling (who did, in fact, have sand kicked in his face at the beach) became known as "The World Most Perfectly Developed Man." In addition to his famous mail-order bodybuilding course found in the pages of countless comic books, Atlas also became famous as a model for sculptors. His physique, and often his face, appear on seventy-five statues across the country, including those of George Washington in Washington Square Park in New York City, and Thomas Jefferson in Washington, D.C. This real-life hero's exercise and healthy living routines created a fitness craze across America. Donnie is dismayed because whenever his friends play war, he's forced to be the enemy "Because he looks like them." Donnie hates being the bad guy and wishes he could prove to the other boys that his father and uncle had fought bravely for the United States in two different wars. The ending is both surprising and satisfying, but still left open to discussion. Students can interview a grandparent or another significant adult in order to tell about "A Hero in my Life." The interview can ask that relative about their heroes as they were growing up. Some students may be interested in learning about the treatment of Japanese Americans during World War II. 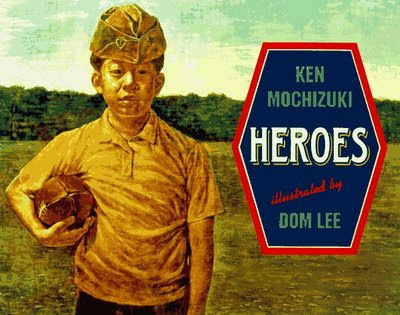 A great place to start is Baseball Saved Us , also by Ken Mochizuki. This book tells how baseball raised the spirits of interred Japanese Americans, while providing just enough historical context for some discussion. Okay, I'll admit it. These two are not picture books. But I love their short chapters, the informative trivia text boxes which appear on every page, and the diversity of heroes and heroines represented. 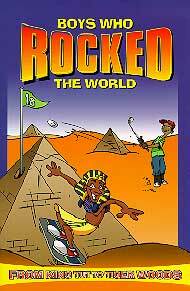 Perhaps the best features of both books, however, are the real-life boys and girls who appear at the end of each selection to answer the question, "How will you rock the world?" Many of the people chronicled here have also been captured in picture book. Dragon in the Rocks, for example, details how fossil hunter Mary Anning of England discovered the first full skeletons of an Ichthyosaurus and a Plesiosaurus. Students can search the library for such books, and then compare the interpretations of the picture books with the facts they've collected elsewhere. And those heroes who have not yet been immortalized in a picture book? Have your students design such a book. The class as a whole can draft the text, and then pairs of students can be given text pages (containing just one or two paragraphs) for illustrating. How is this person like other heroes we know? Which of our adjectives match her? What other adjectives did this story make you think of? Did he try to become a hero? How did it happen? What circumstances forced him to act heroically? I thought the boys in my class would go crazy for this site (and they did!) but the girls loved it just as much! The plan: create a hero who would be the main character (and source of motivation) for a tale of action and adventure. Hero Factory allows visitors to custom build a hero of their choice (male or female), making it truly their own through countless combinations of hair color, eyes, noses, outfits, accessories, color schemes, and more. (I created the bearded, bald, super-handsome hero shown here in less than two minutes). My one concern is that the site does allow the hero to have a weapon (although they don't have to be holding one in the completed image). We agreed, however, that this weapon could only be used to fight off monsters, aliens, and imaginary creatures of all hideous and horrendous dimensions, and that no humans would be killed in our stories. The weapon might also be used to battle natural disasters. 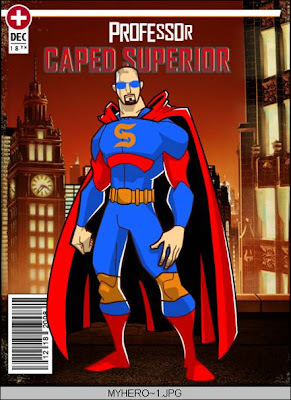 Additionally, the final image (which appears as a comic book cover) features a name for the hero which is based upon the combined attributes chosen. We agreed that these names could be nicknames, but that we reserved the right to christen our own heroes. After creating their original heroes, some students returned to the application to create allies and enemies as well. (The site is super-easy to navigate, requires no log-ins, and features no ads of any kind. I still can't figure out who even created the site, or for what purpose!) All students found the activity to be exciting, and their written results were just as creative and diverse as the super heroes themselves. As five and six year-olds in kindergarten, children have a high opinion of themselves as artists. Ask a kindergarten class, "Who here is an artist?" and you'll be awash in a sea of eagerly waving hands. Over time, however, that opinion changes; some educational commentators, such as Daniel Pink, even argue that it's school's emphasis on "right answers" that is partially to blame for this. Why is self-concept so important in learning? How large a part does a child's opinion of his or her abilities play in the risk-taking process? 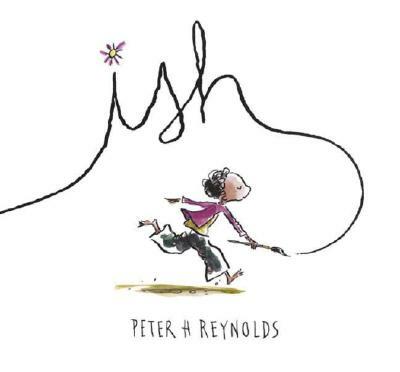 That question is answered simply, skillfully, and lyrically in Ish by Peter H. Reynolds. How many of you are artists? What are some of your favorite things to draw? How many of you think that your pictures are good enough to be in a museum? What is one thing you're really good at? Can you do that without ever making any mistakes? How should people react when they're not perfect at something? Ramon loves to draw; he draws anything, anytime, anywhere. That is, at least, until a careless word from his brother makes him overly critical of his work, and he becomes less and less satisfied with his drawings. Because he can't be "perfect," he no longer enjoys what was once his greatest pleasure. Then one day he notices his younger sister grabbing one of his discarded sketches. Chasing Marisol to her room, Ramon discovers that she has hung all of his crumpled works on her wall. "That was supposed to be a vase of flowers, " Ramon sighs, "but I couldn't get it right." "Well, it looks vase-ISH!" Marisol exclaims. Examining the drawings on her walls, Ramon begins to see them in a whole new way. "They do look... ish, " he says. Feeling energized and less burdened to be perfect, Ramon begins to draw what he feels. "Thinking ish-ly allowed his ideas to flow freely." He also realizes now that he draw his feelings as well (Reynolds provides some exquisite examples of abstract feelings realized visually). And Ramon lived ish-fully ever after. Why did Ramon have trouble drawing his pictures after his brother's comment? If you were Ramon, would you have reacted the same way? What could Ramon have said to his brother? What does Marisol mean when she says that the picture is vase-ISH"? Although you may not at first recognize his name, you do know Peter H. Reynold's work, including the Judy Moody books and the most recent reincarnations of the Fudge series by Judy Blume. Many of the extensions described below are drawn from his excellent official site as well as his FableVision media site. Teachers and parents, you may also be interested to know that his many of his whimsical drawings are also offered as clip art at his North Star Resource Library. From Peter's official web site, have students choose one of his watercolors for a picture prompt. While you could assign the same picture to all students, I find that they feel greater ownership, and thus greater responsibility for the quality, when they choose their own picture. From his FableVision site, Peter offers some creativity tips in a section called Sparking the Creative Spirit. The ideas shared there may kindle an idea for you and your students. At FableVision, Peter has created a simple tutorial for working with Flash, the popular animation program. After students view Peter's animation of a tumbling boy, as well as a simpler animation created by a second grader, they can try the process for themselves. If you're looking for software that will inspire the -Ish in your students, you might consider Peter's own Animation-ish, the "world's easiest animation software program." Click on the link to check it out, and to see a free demo. For those who enjoy writing and illustrating, and may be considering a book for children, Peter gives some tips in the Strathmore Artist Newsletter (pdf download). Who here has a best friend? What special qualities make this person a friend? What is the opposite of a friend? Is it a stranger, is it an enemy, or is it something else? 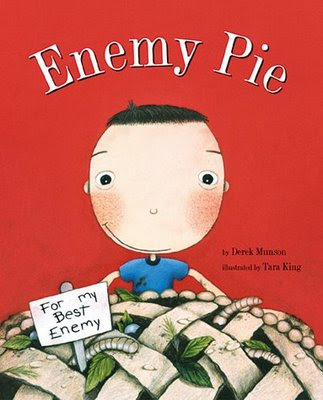 Today's book is Enemy Pie. Before I show you the front cover, I'll tell you what appears there: a large pie with a note that reads, "For My Best Enemy." We talked about a best friend; is there such a thing as a "best enemy?" And why would you want to give something as delicious as a pie to your enemy? Let's look at the front cover. Do you think you'd enjoy enemy pie? What might be this character's intentions with this pie? One boy's perfect summer seems to be ruined when his worst enemy, Jeremy Ross, moves in down the block. Fortunately, though, Dad has a recipe for enemy pie. But it seems that the pie will only be effective if the recipient is treated kindly before eating it. Reluctantly, the boy agrees to spend time with Jeremy. As the boys spend the day shooting hoops, jumping on the trampoline, and throwing water balloons at the girls, our protagonist begins to realize that Jeremy isn't a bad kid at all; in fact, he and Jeremy share many traits and interests. So imagine his confusion and consternation when the pie is finally served. He desperately wants to tell Jeremy, "Don't eat it! It's poison!" But then he realizes that Dad, wise old Dad, is eating the pie as well, and enjoying himself immensely. The lesson here is pretty clear, and well delivered. Why didn't the main character like Jeremy Ross? Why did his father suggest enemy pie? So, did the pie work? What else might his Dad have suggested? Why was the pie a clever idea? At what point did we, the readers, realize what was happening? (You may also wish to tell students that when the reader knows something that a character does not, it is called dramatic irony. Dramatic irony is a terrific way of building suspense in a story. Remember when we heard that music in Jaws? Dramatic irony!). Before reading Enemy Pie , have students create lists about friends, while practicing parts of speech. For example, the first prompt might be, "Another name for friend is ____" (these would be nouns). Another prompt might be, "Friends are always ____" (adjectives). 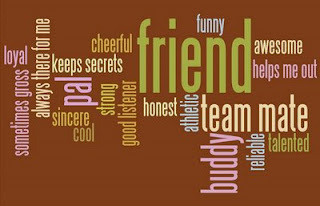 Then, "Friends always _____ (verbs, along with some other words if needed). And possibly, "Friend never ______" (again, verbs). Later, adverbs can be added to the verb phrases to complete them. Again, I would do this brainstorming before reading the book, and then again after. Using the lists from above, have students create a "Friend Poem." Boys, it seems, are especially reluctant to writing poetry, but I've found that they will do so, and with great success, if I 1) ask them to write bulleted lists from their prior experience (and thus tap into their schema), and 2) create a template for the poem, which provides a structure for their thoughts. So the template for a Friend Poem might simply be, "A friend is someone who..." and the lines that follow can be rhyming couplets, or simply verse. Taken one step further, the ideas from the first bullet can be used to create a Word Cloud, which is a cool, free form poem. Wordle.net allows you to enter words and phrases, and then transforms them into a variety of configurations which you can later change. The subject of pie is a perfect introduction to fractions. Students can solve problems involving addition and subtraction of fractions, as well as equivalent fractions, using visuals as a concrete reference. Suppose, for example, Dad bakes three pies for when the boys invite the girls over. Each pie is sliced into eight slices, and two slices are eaten from each pie. If the remaining slices are placed together into pie plates, how many total pies are there? Do any separate pieces remain? And so on. For the older set, how about a lesson on pi? Apart from the pun, pies lend themselves nicely to the study of terms such as radius, diameter, circumference, area, and, of course, pi. Very simple and quick pudding (creme) pies can be made in class using instant pudding. Many stores sell small graham cracker tart shells which can be used rather than large pie crusts; this allows each student to create their own pie, which can be topped as they like (with sprinkles, whipped cream, mini-marshmallows, etc.). Do you have another Science idea for here? I'd love to hear it and will gladly post it! If your class is presently studying history, what evidence is there of conflict between two groups of people? (European settlers vs. the Native Americans, Colonists vs. the British, North vs. the South, etc.) Do these conflicts originate from a failure to know and understand the perspectives of the opposing side? Are the differences between the two conflicting groups truly irreconcilable, or are the two groups simply refusing to compromise? Students can be asked to write a bulleted list summarizing the view points of both sides, with the intention of arguing one side or the other. The challenge is, they will not know which side they are arguing until seconds before their turn. The "argument" portion can be either a full-class debate or a one-on-one confrontation, where students are paired and must carry on a dialogue in front of their peers. Several peers may be chosen to act strictly as a jury or panel of judges rather than debate. Who here receives an allowance? Are you required to work for that allowance? Would you walk my dog each day if I paid you $2.00 a day? Would you do it if I paid you just one penny a day? Suppose I paid you one penny on the first day, two pennies on the second day, and four pennies on the third. What pattern develops? Would you work for that pay for one whole month? Let's each make a guess as to what the total number of pennies would be by the month's end. Today's tale is set in India. Who can locate India on our map? What can you tell me about India? Long ago in India, a raja ruled wisely and fairly. Or so he thought. He was wise in that he required much of the rice that was grown to be stored away, in case of famine. He was fair in that he would provide the people of the land with rice, should famine ever strike. When it does, however, the raja is reluctant to let the rice go (even though it was never his, of course). "Who knows how long the famine will last?" he wonders to himself. "What if there is finally no rice left, not even for the raja himself?" One day a clever young girl named Rani does a small favor for the raja, who wished to reward her accordingly. He's surprised when she asks for just one grain of rice. Today, that is, and then two the next day, and four the next, and so on for thirty days. The raja agrees, stunned that the girl should not want more. Over the next thirty days we see the rice being delivered by a colorful procession of animals. We also see the amount of grains delivered each day growing larger and larger, until the author/illustrator is forced to use fold-out pages to show the dozens of elephants required to bring the rice on the last day. 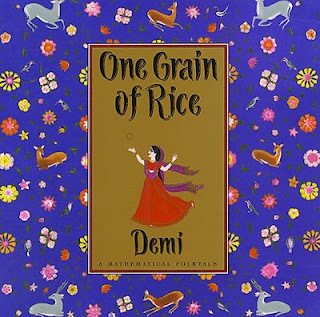 As Demi proves in her chart at the book's close, this simple doubling pattern produces 1,073,741,823 grains of rice (compounded total) by the end of thirty days. If this were pennies, the sum would total $10,737,418.23. The raja is dumbfounded by the math, and dismayed by his new-found scarcity of rice. Rani informs him that the rice will be used to feed the people, but that she will leave a basket for him if he promises to be "wise and fair" from then on. And he does. Were our guesses about the total number of pennies for thirty days close to what Rani received? At the beginning of the book, the raja believes that he is wise and fair. If that's so, then why wouldn't he share the rice with his people? At what point did the raja begin to realize the effects of the doubling? Why didn't the author tell us about every single day? Compare this book to The King's Chessboard , a similar mathematical tale also set in India. Have students discuss and list the differences. They may also want to compare and contrast the two rulers, and compare and contrast the two beneficiaries, noting their motives in their requests for the odd form of payment. The book is full of authentic, specific words such as implored, famine, and plentifully. Discuss with students how context clues helped to define those words. If a word could not be defined through context clues, did that affect the reading of the story? Compare this story to other Indian folktales. Are there common characters or themes? Rather than offer math ideas, I would like to introduce my readers to Mathwire, an awesome math site which features lesson plans for math-related picture books, as well as free, downloadable related resources for classroom use. For One Grain Of Rice , for example, the site features a lesson plan with pdf handouts, and an interactive website called The Million Dollar Mission. On that same Mathwire page you'll discover Two of Everything , a Chinese folktale describing a pot which has magic doubling powers. This book makes another terrific comparison piece for discussion. This is a preview of ABC3D by Marion Bataille. Not a picture book, but a unique, creative look at the alphabet. A great introduction and inspiration for students who want to create pop-up books or reports. Want to create your own cool pop-up books with students? 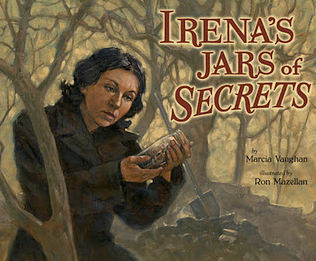 Check out this post with a great mentor text, plus links to pop-up sites. A first-time visitor emailed me to say that she loved the site, but couldn't see how she could sell the idea of picture books to her administrators. "Times are tight, and it seems they're only interested in putting money into textbooks and the rare set of novels. Any advice?" Before advice, I offer sympathy. I know how you feel, trust me. But since you're seeking suggestions, the best I can give you is this: enlighten your principal (or whoever holds the purse strings in your school). Some principals were not teachers, and those who were may never have set foot into a classroom below the middle or high school level. Some administrators are also unfamiliar with the scope and diversity of picture books available today. You mention picture books to them, and they're thinking Clifford the Big Red Dog. (Not that I'm knocking Clifford; he is old school cool). What administrators most need help understanding, however, is the role picture books can play in the upper grades. Are they simply an add-on, or will they truly enrich and advance the curriculum we're presently teaching? The best answer to the question, "Why Picture Books?" is a resource I created called Picture Books Across the Curriculum. There you'll find fifteen reasons for using picture books, complete with citations and additional reference sites. You and your colleagues may be able to brainstorm even more. I would recommend that you invite administrators to your room when using picture books; show them that nothing beats a picture book for establishing a common literary culture. 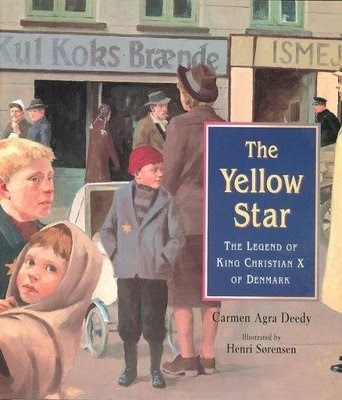 Prior to reading the novel Number the Stars , for example, I share several picture books about World War II, the Holocaust, and Denmark's resistance to the Nazis to provide my students with sufficient age-appropriate background knowledge. Otherwise, they simply could not understand, nor fully appreciate, the novel's events and themes. See my Holocaust Picture Books post for more titles and teaching ideas. Who has ever heard the expression, "Honesty is the best policy?" What does that mean? Can anyone think of a time when it might be acceptable to not tell the whole truth? Why does the book's title appear in that cloud over the girl's head? What does that mean? Looking at the back cover, what might be the setting of this story? When young Libby is caught in a lie, she feels better admitting the truth, even though she's punished double. It is the first time she has lied to Mama, and as far as she is concerned, it would be the last. "From now on, only the truth," she decides. But in her commendable attempts to tell "only the truth," she is tactless and cold; as the girls at church admire Ruthie Mae's dress, for example, Libby points out that there's a hole in Ruthie Mae's sock. Before the end of the day she's told the truth about many of her friends: she tattles to the teacher that Willie didn't do his homework, reminds the class how Daisy had forgotten her lines at the Christmas play, and lets everyone know that Thomas doesn't have lunch money and must borrow from Miz Jackson. Stung by Virginia’s words, Libby finally realizes the wisdom of Mama’s words. 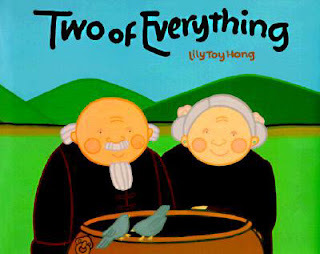 The remainder of the book sees Libby making it up to her friends through both words and actions. Do you think Libby was trying to hurt her friends' feelings when she told the truth? If what Libby said was true, then why did it create a problem? When might it be wrong to keep a secret? What happened to Lilly to make her realize that the truth needs to be told in the right way? Ask students to write a poem about honesty. As a starter, tell students that they can include Mama's words as lines in their poem. Other students may prefer to write a story about a time that they told the truth and hurt someone's feelings, or when someone told them the truth and hurt their feelings. Have students create a poem-like prose piece called. "Instead of ___, Say ___." For example: Instead of, "That green dress makes you look like a cabbage," say "I like the blue dress better; it brings out your eyes." This activity not only encourages students to think tactfully, it also provides excellent practice writing proper quotation marks, a skill which will transfer to narrative writing. 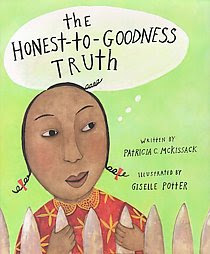 Patricia McKissack uses similes and metaphors beautifully. When Libby lies, for example, she is "surprised how easy the lie slid out of her mouth, like it was greased with warm butter." Have students point out other literary devices in the picture book for discussion. Then, present students with some "boring sentences" in need of "dressing up" with similes. 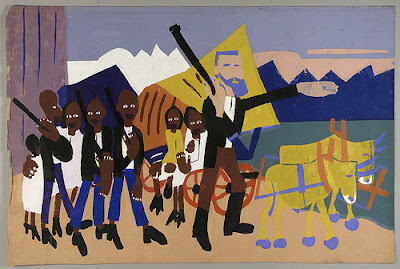 The illustrator's style is very similar to that of William H. Johnson. Show some examples of the artist's work (many are available on Google image search) and ask students to draw conclusions about the lifestyles of Black Americans in the south. How are Johnson's and Potter's styles similar? To follow up on the above activity, have students use one of William H. Johnson's pictures (such as Going to Church) as a writing prompt, or ask students to paint in that same style. The symmetry and simplicity of Giselle Potter's faces are also reminiscent of African masks. Download some pictures of African masks and have children compare them to the artist's illustrations. Is the resemblance coincidental? What purpose did masks serve in various African cultures? Writing Fix is an amazing web site which will keep you occupied for hours! This grant-funded project from Nevada provides hundreds of writing lessons, with over 80 picture books (also known as Mentor Texts) sorted by the six writing traits. 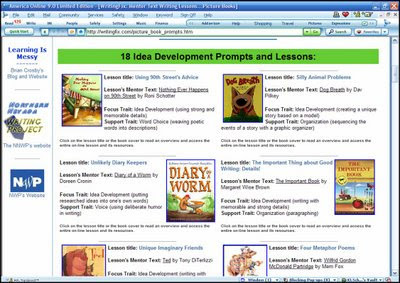 Entire lesson plans plus all needed printable resources are all provided online, free of charge. If you’re just starting out with picture books to inspire writing, this web site practically maps out your whole first year for you! Can you tell I like it? What is a hero? (Prior to discussion, the teacher may want students to create a bulleted list on this topic, or on the topic What is heroism?). Who can name some adjectives that describe a hero? Someone mentioned that heroes are brave. Does that mean that they do their heroic acts without any fear? Is it possible to be brave and scared at the same time? (In Number the Stars , this is a key lesson that the main character learns). 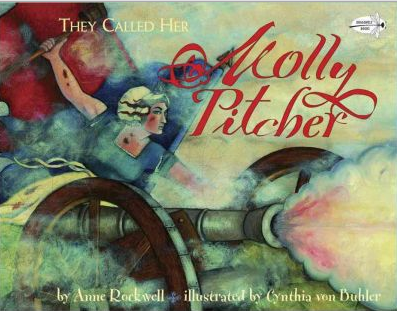 They Called Her Molly Pitcher tells the true tale of Mary Ludwig Hays, who takes her husband's position at the cannon when he is wounded by enemy fire during the Battle of Monmouth. She survives the battle, and is later recognized by General George Washington. The book is a fabulous text to share during Women's History Month, during a unit on the American Revolution, or in a study of New Jersey state history. This picture book also serves as an excellent discussion starter prior to any novel dealing with courage or determination. Rather than provide the usual extension activities, I'll point you in the direction of Teachers at Random, a free resource site for teachers from Random House books. In addition to the They Called Her Molly Pitcher Teacher's Guide, you'll find numerous resources for both picture books and novels, many available in a compact pdf format.Also, check out this post here at Teach with Picture Books called I Need a Hero. It features lots of terrific ideas for exploring the concept of heroism. Also, be sure to click on American Revolution in the tags to the right for more books on this topic. I will add that this is a superb book for studying conflict. It features character vs. character (the battle itself), character vs. self (Molly overcoming her own fear), character vs. nature (the battle was fought on an extremely hot day, and many soldiers succumbed to heat stroke), and character vs. society (Molly overcame prejudice against women in battle). My students have been able to produce well-structured expository paragraphs on the topic of conflict following a read-aloud and discussion of this text.